Today, Representative Terry Canales (D-40th) introduced HB 3403, the “Protect Our Children Act” to grant municipalities the power to govern oil and gas operations within 1,500 feet of a school or daycare. In 2015, HB40 effectively removed municipalities’ power to govern the oil and gas industry within their boundaries in favor of the state Railroad Commission and Texas Council on Environmental Quality. The Protect Our Children Act would apply to child-care facilities as defined by Human Resources Code (42.002), public schools and private schools with at least 100 students enrolled and that offer instruction at a single location. According to Railroad Commission and federal Department of Education data, in Texas there are more than 221,000 children enrolled at 927 schools and daycares within 1,500 feet of an active oil or gas well. 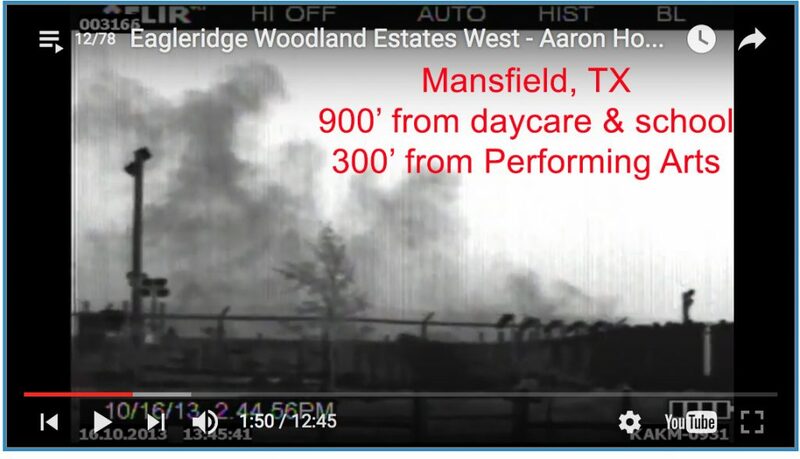 TCEQ Optical Gas Imaging video taken in Mansfield, TX 900′ from the school and a daycare facility and 300′ from Mansfield ISD Performing Arts Center. Research in Texas and around the country shows that oil and gas facilities pollute the air with hazardous chemicals like benzene and smog-precursors. EPA modeling links more than 144,000 asthma attacks in Texas children to oil and gas pollution. 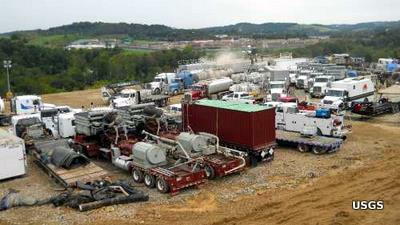 Oil and gas operations are major industrial facilities with all the associated truck traffic and noise.